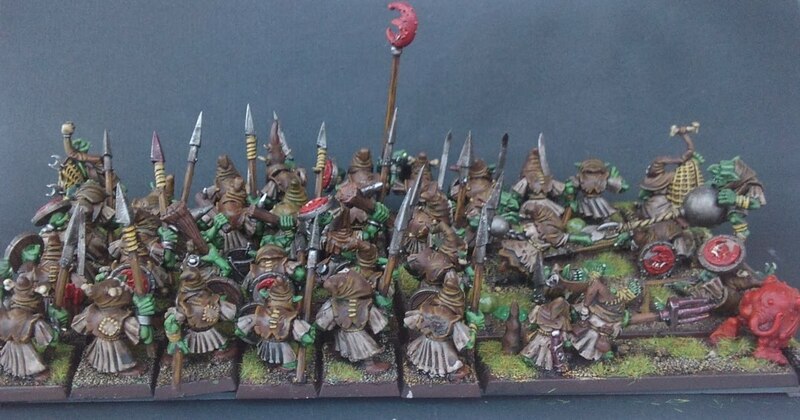 The Gobbo Horde is complete! 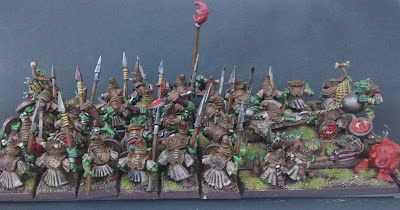 50 of the little buggers are now painted and ready to see some action in my upcoming All Gobbo list. 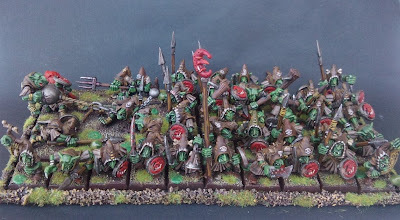 As you can see, these are mostly 6th edition Night Goblin models, including two metal Netters from the same range as well as some older highlights from 5th edition (the squig herding diorama in particular). The old box contains very few hand weapons and I wasn't really feeling up for converting that many from other sets, so I went with quite a few spears. By shifting the front rank around, I figure they can work as either option depending on my preference (long time readers will know that I rarely think it wise to pay extra points to give my WS2 goblins spears, prefering instead the added protection of a parry save for a cheaper cost). 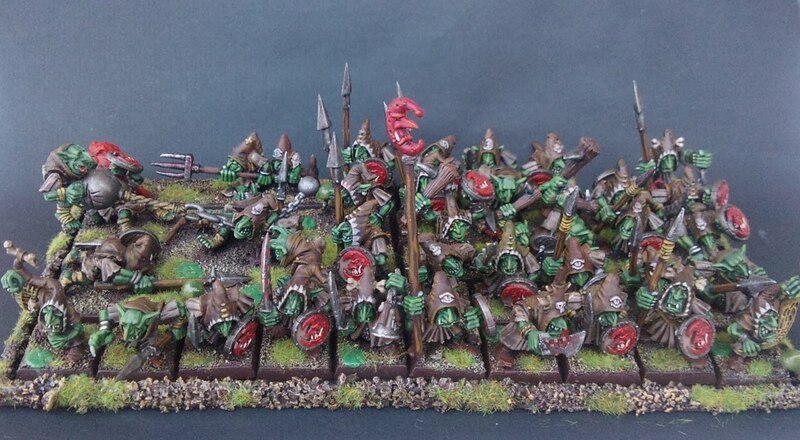 If I do feel the urge to try out spear gobbos, I'll just put those gits in the front. The colors and techniques were kept simple with such a large horde of figures. In most cases I just used a basecoat followed by a wash and a highlight, with two highlights on the skin. So what do you think?